Two Blokes Trading Episode 80: How to Become a Full Time Trader with Rolf Schlotmann. Click above to listen to the full episode. Rolf Schlotmann forms one half of the trading duo behind Tradeciety and Edgewonk, alongside Moritz Czubatinski (who we've featured in our Desert Island Trades series - see below). 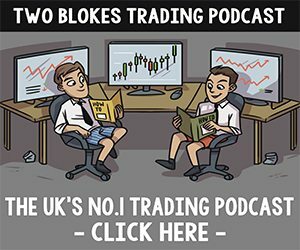 In this interview with Two Blokes Trading podcast episode 80, Rolf reveals a unique trading journey that is both inspirational and envy-inducing. The ultimate trading nomad, Rolf decided to ditch a high-flying corporate job and sell everything he owned before jetting off to South East Asia to become a full-time travelling trader. Here he discusses the journey that led him to taking that big step and provides some tips and advice for those thinking of doing the same. I’m in my early thirties. I first got introduced to trading when I was 15 I think. I’m from Frankfurt in Germany, it’s the biggest banking city here. When I was 15, around the year 2000, everyone was crazy about stocks, and so was my dad. Back then there wasn’t really much of an Internet, so I really liked to follow the stock tickers, in Germany we call it teletext / video text in your TV. That’s how got introduced to stocks, it was fascinating. Every day after school I ran home and turned on the TV to see the ticker symbols. Then I had a little portfolio, which I could get up and running with just the big names that I knew when I was 15, like Coke and McDonalds. I always had an interest and I studied finance in University, Corporate Finance and International Finance. 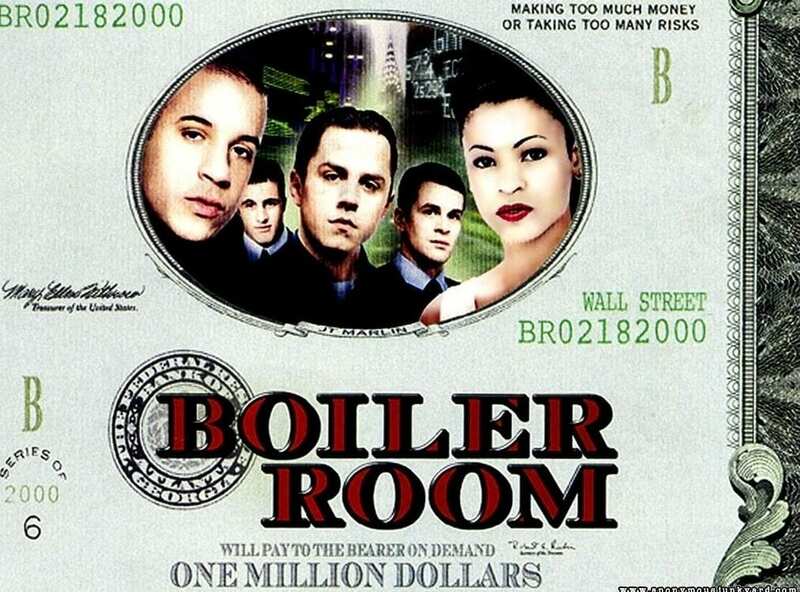 One day we got introduced to Forex in University, and since then, roughly ten years now, I’ve been involved in the Forex markets. I had a very good corporate job after university; I have a very good masters, so I got a very nice job. I was trading on the side, every night I came home and every morning before work I was trading. But then I saw the people at my work and I knew the path that I was just starting on in the corporate job was what I was going to do for the next 30 to 35 years. I never felt comfortable with that. I always had a little bit of an entrepreneurial mindset, I had my first website when I was 14 or 15. I made some money back then too. And I always had this idea of being an entrepreneur and not having to go to an office and doing just what I would like to do and not report to anybody. Being out of University for a few years, I didn’t have a big account but my trading was quite good. So I thought, what can I do to get more time? Because I was mid 20s when I started traveling, it’s a good time to take risks without having too many consequences. If I failed I could still go back to work. That’s what I did. I quit my corporate job. Everybody thought I was crazy, especially my parents. I sold everything I had; my car, my apartment, everything inside my apartment. All I had left was one suitcase with some stuff. I picked South East Asia to start because it was a very low cost country and you could have a very nice lifestyle. It’s very European because there are many expats and digital nomads there now. You have a good environment, the health system is alright, living expenses are very cheap. So I went over there, just with a suitcase. I had never been to Asia, the plan was to just free up time. I had a very nice condo there. You can eat out three times a day, so you don’t need to worry about good shopping or preparing meals. They have cleaning staff on demand, laundry staff on demand, so really everything you would normally have to do that takes up a lot of time, you can either invest in yourself, in trading, or whatever you want to do. That was a big selling point for me. It allowed me to trade with a small account with some savings I had after selling everything I own. I had something of a home base in Thailand but I would travel for almost 5 years throughout Asia. It freed up my time and allowed me to focus on myself and grow as a trader. What most people overlook is that they always think of the word full-time trader. But I, for example, trade on the higher timeframes, 4hr and daily, a little bit on the 1hr sometimes. So you really have a lot of time on your hands, you don’t need to sit infront of the screen 10 hours a day and you don’t have to follow the candles tick for tick, it does not really make any sense. I see in so many people who I talk to, is that when they have something else besides trading, they don’t really have this goal of becoming a full-time trader, because there is this other thing they really enjoy doing. So don’t limit yourself to just trading, it can be great to supplement your income. I always say trading is like a mirror of yourself. Because in trading you’re confronted with your weaknesses, very clearly. So I used to be very impatient and impulsive and I didn’t realise it made such a big impact in my trading. Because when money’s involved, everything gets blown out of proportion when you see your account up and down and then you’re impulsiveness and impatience takes over and influences your trading. So you really need some balance in your life and not only this trading thing. When I started out I did not journal, I didn’t care about journaling, I just wanted to make money. So I just traded and traded and it was not going anywhere. Then at one point I was looking back at my trades and I was wondering what I was doing and up until that point I did like so many traders. They fire up their trading platform in the morning, they just get right into the charts, they flip though the timeframes, hunt for the signals and then by the end of the day they are wondering what went wrong here. They don’t really have an understanding as to why they lost money, so it’s still not going anywhere, maybe after months. But then the next day they just come back and do the same and hope someday they will find a great system that would just suddenly work. I then started to go over my trades, even a brief review, you just look at what you did during the day. Then you find patterns, and what I’ve seen is that, it’s not really like the losing traders do everything completely wrong, it's usually a good approach, but they are just doing a few things repeatedly wrong, be it FOMO or revenge trading, those are the big ones. And then your review really shows you that this really is a very big cost of your problems. You can really focus on the process of becoming the trader you need to be in order to take profitably, and you can only do this by journaling because just ask yourself right now, do you really remember your last 10 trades? In detail, what you did wrong, what you did right and most people obviously will not even be able to tell you without the journal. It’s impossible, so you don’t really learn the lessons from your trades. First they have to be very honest with themselves, that's the starting point for everything. You really have to look at yourself and understand where you are right now, where you need to be in order to move to a different country and then you have to look at how you fill the space inbetween. So what are the action steps. One thing I recommend people stop doing is system-hopping. That's such a big problem where you just need to stop looking for a new system, its not the system that will make you a better trader but it is you. Always look at your trades and ask yourself "was I the one who caused the losing trade because I made a mistake, I didn’t follow the rules, or was it really the market where the trade did not work out but I did my best?". Then the most common question I get is, "how much money do you need to move to Asia, Europe, Africa?" You need to look at how much return you can generate, and again we have to come back to the first point, if you’re honest with yourself and you see that you are not making any money, then "when can I move to another country or quite my job" is not a question for you. You really need to get this first step right and look at the causes. Then you need to find out the living expenses in the country. So Asia, especially South East Asia, if you’re on a real budget you can live on 500-600 dollars a month. I would suggest at least $1,000 to have a nice and comfortable life. That's all-in costs with insurance and everything. Then you have to ask yourself, how much stress do I want in my life, how much savings do I have and how much do I put in my trading account? Do I need to withdraw from my trading account? That adds a lot of pressure to your trading and probably isn’t very enjoyable. Be patient, have this long-term mindset. If you’re 30 right now, just put in the work now, don’t look at how you can make a million dollars by the end of next year. But understand that even if it takes 6 years, your 50-year-old self will thank you in 20 years that you really did that and you really were patient and laid a solid foundation.